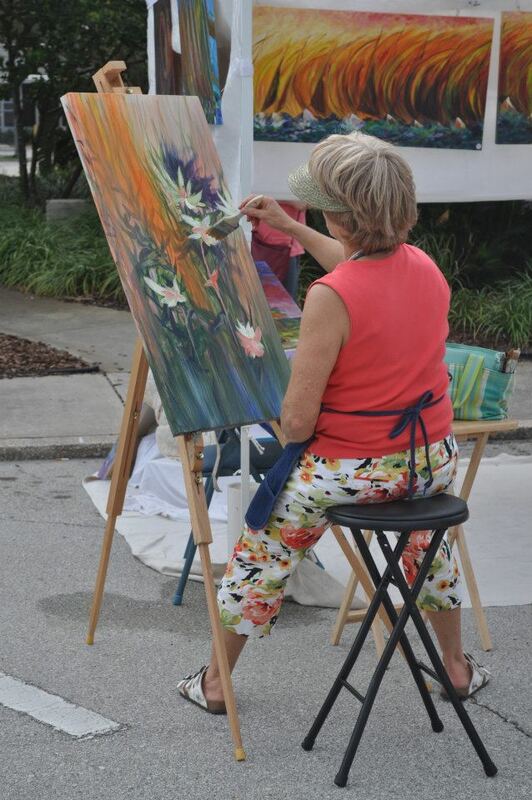 Artworks Eau Gallie, located in the historic district in Melbourne, Florida, was my last show of 2011, and quite unique from the other festivals I exhibited at this fall. I was enthusiastic to receive the Award of Distinction (2nd in 2D Art). 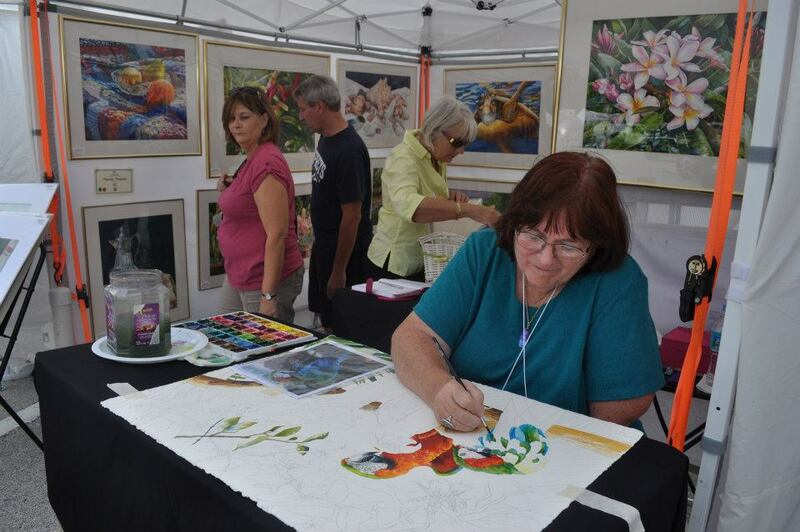 The festival was attached to the Foosaner Art Museum, formally named the Brevard Art Museum. The museum was very nice, and my photo was on display with the other award winners on Sunday morning. 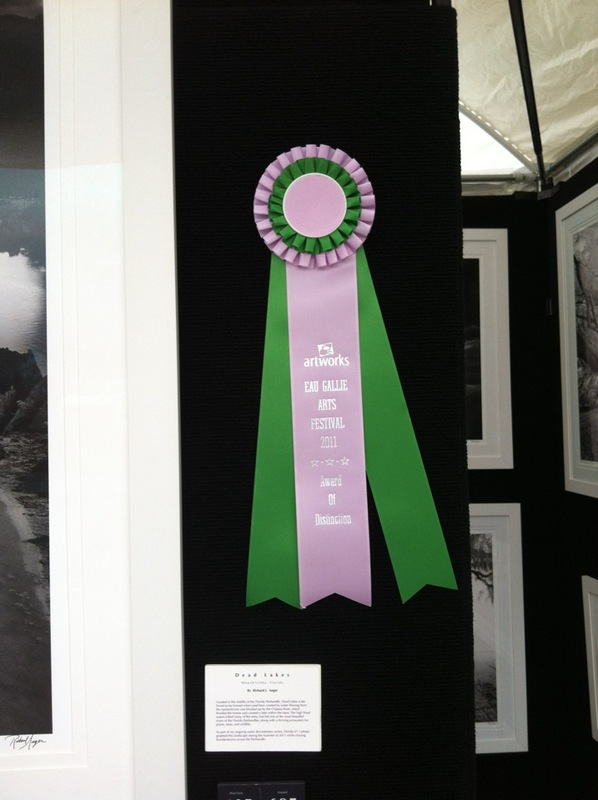 Only 14 months ago, I took a risk and became a full-time, professional fine-art photographer; and for the past two months, with my brand new series, ‘Florida 67’, I have won a large ribbon at nearly every festival that I have attended. Last summer, I poured my heart and soul, as well as my time, energy, and money into producing an all new film series, and its been rewarding to see a positive reception by judges and patrons this fall. 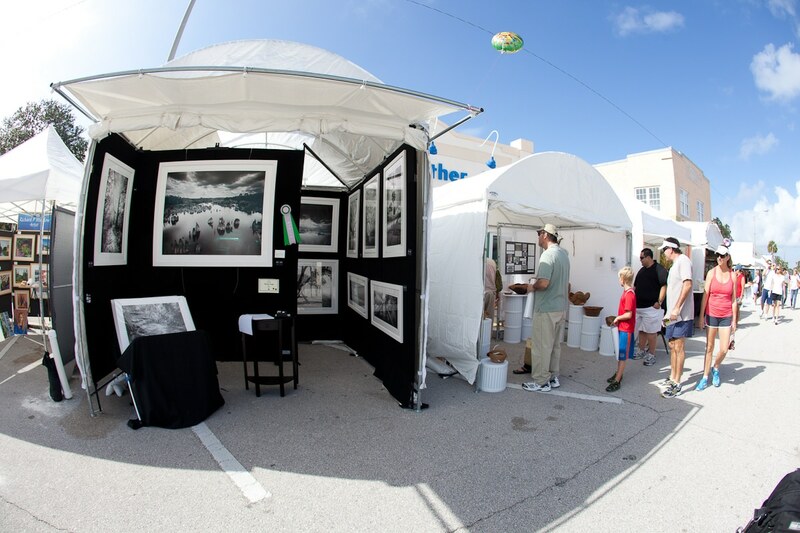 Richard Auger’s Booth, Artworks Eau Gallie Art Festival 2011. I just switched to white framing! Artworks Eau Gallie Award of Distinction, 2011, Richard Auger. I’m a little sunburn from sitting outside all day with no sunblock! 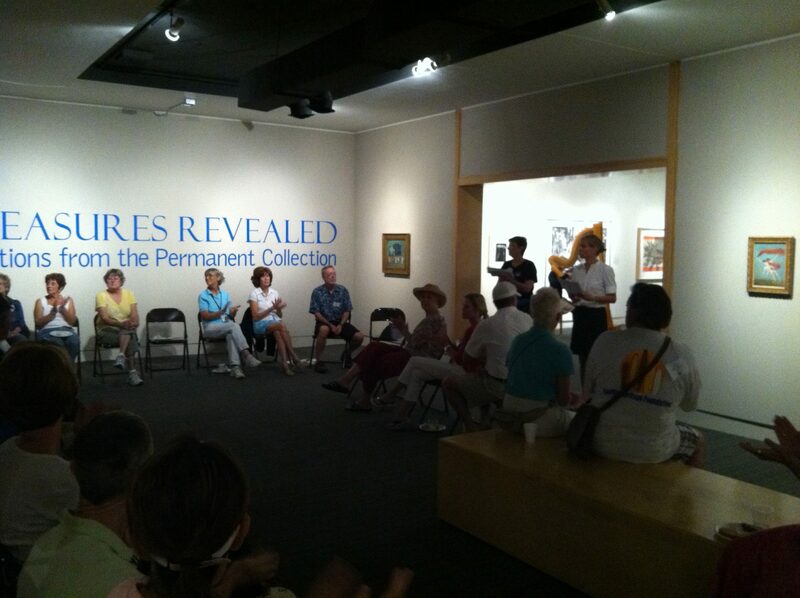 Eau Gallie, Richard Auger inside the Foosaner Museum with ‘Dead Lakes’. I had goosebumps seeing my work in a major gallery. Eau Gallie had an amazing set of staff and volunteers, who were actively walking the festival and interviewing patrons. The award sizes had increased every year, and the staff seemed to be increasing the prestige and quality of the festival every year. 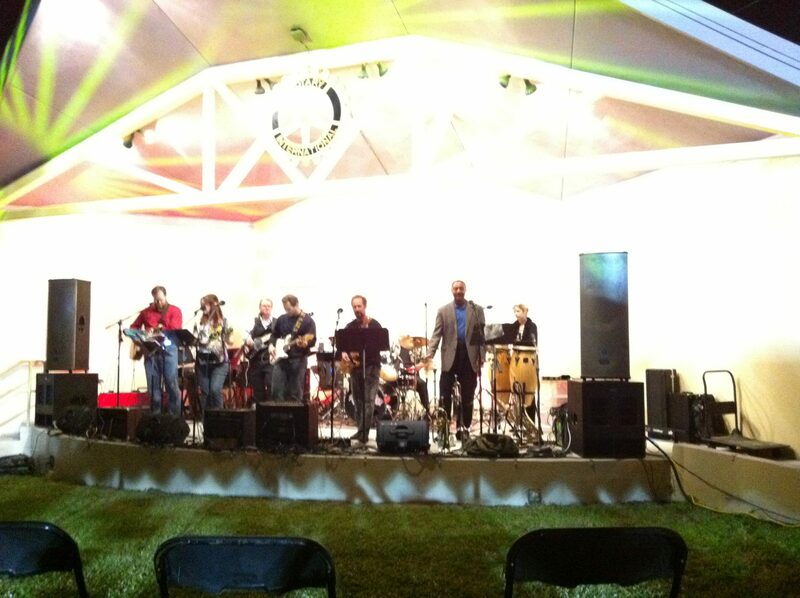 I loved the reception after friday night setup, with champagne and hotdogs, as well as an awesome live band. 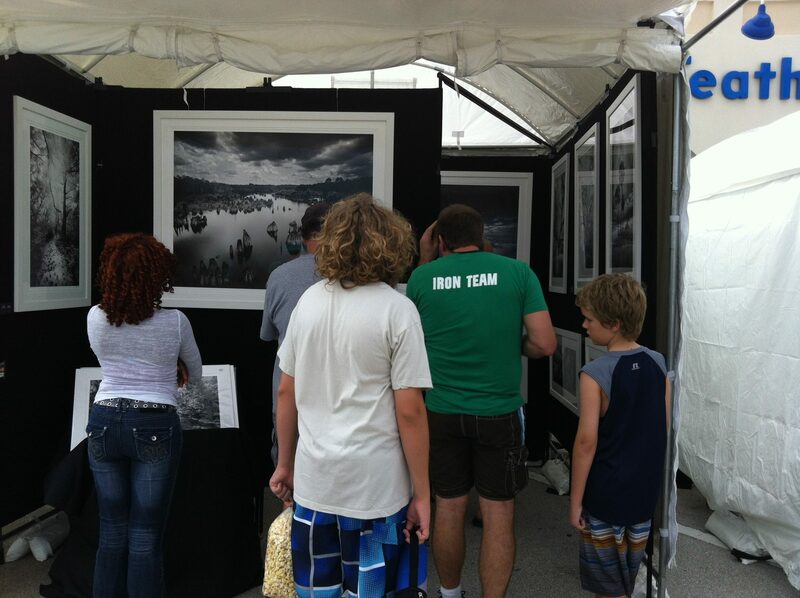 The core goal of the Artsworks Eau Gallie was educating the public; each artist was required to display their technique and actively create art during the festival. A film photographer like me couldn’t do much, but the director suggested that I at least create a story board for next year. I think I’ll bring out some development tanks, reels, and negatives next year, and maybe a small second-hand enlarger and camera to display. 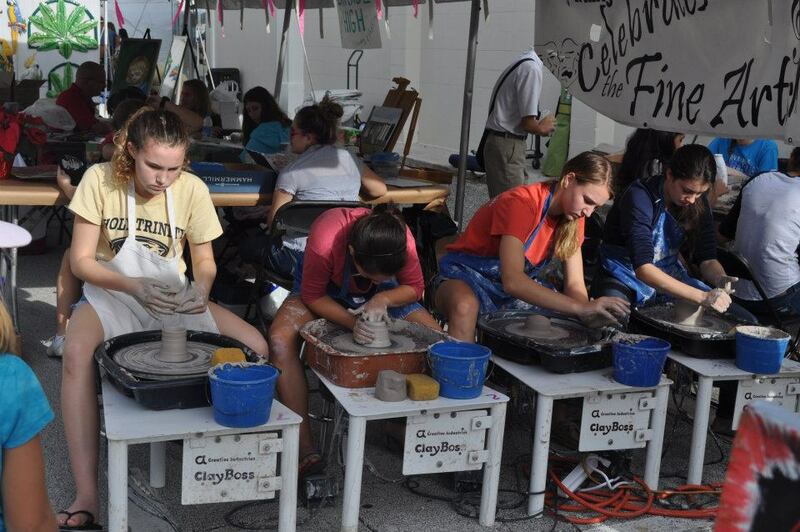 Most fine-art shows do not alow the artist to ‘create art’ during the festival, where as Eau Gallie was the total opposite. My neighbor was weaving baskets, along with another painting acrylic images of palm trees. Eau Gallie had only a few familiar faces, who happened to be Melbourne natives; I was refreshed to see new faces and inspiration. 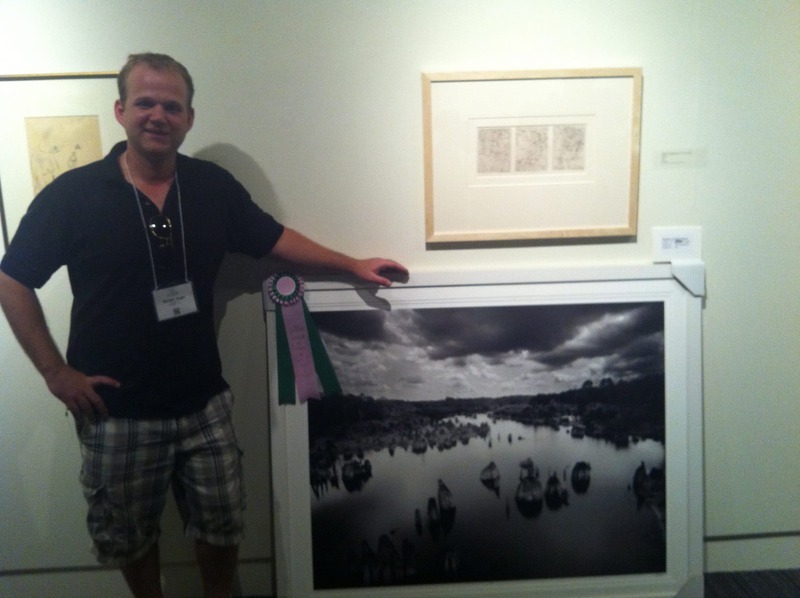 Only one other photographer, Paul Stevens, got an award (he does interesting work with grids of repeating images). 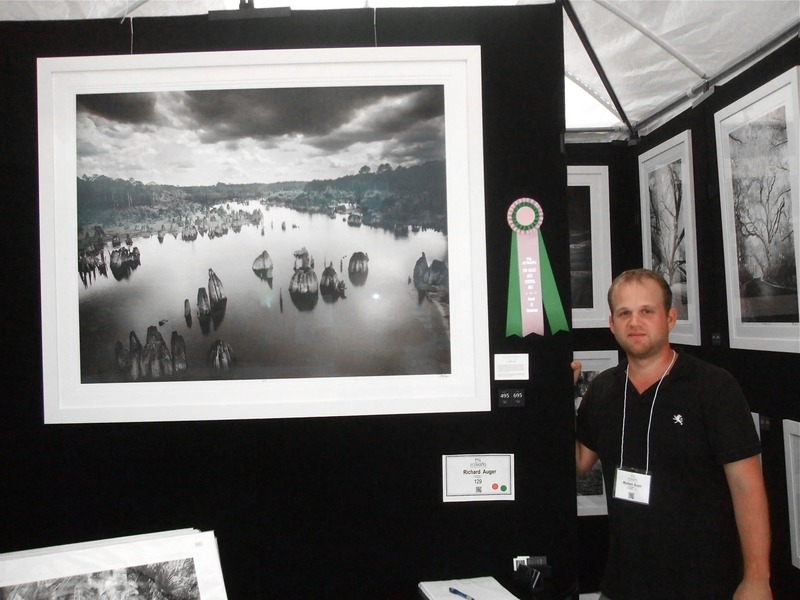 At the Ocala Fine Arts Festival a month earlier, Paul Stevens and myself were the only photographers to receive an award as well. Only about 6 photographers were at this show total, which was a nice change as well, as most shows have WAY to many photographers, mostly amateurs that hurt the view of photography as a ‘fine-art’ profession. 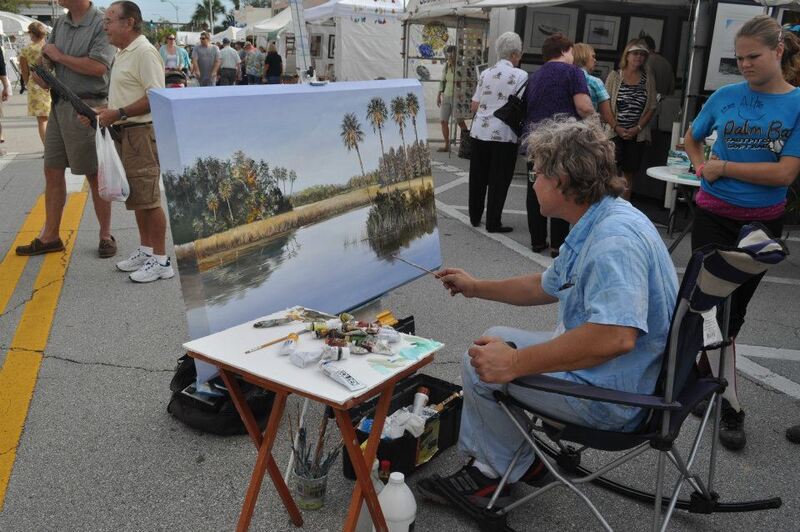 Eau Gallie takes the art side of art festivals seriously, and it shows. For the remainder of the year, I’ll be traveling Florida shooting new photographs, as well as working on my kickstarter. Further, I’ll be focusing more on Florida conservationism during 2012, and bringing out a new series. 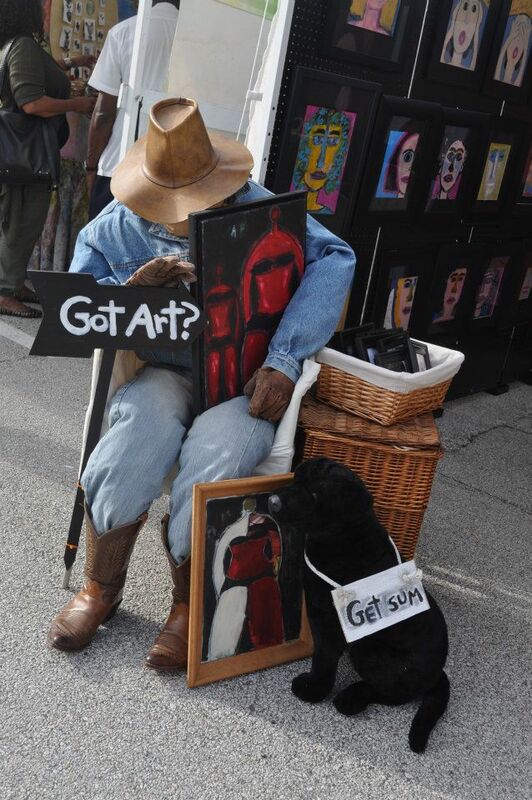 So very glad you enjoyed the ArtWorks Fine Arts Festival! I am the Secretary and have been on the Committee for about 14 years. Hope to see you at this years show!! deadline for application is Sept.1. (I don’t have a list of artists that have applied) Spread the word!! Hey Leslie! Thanks for all of your hard work in keeping the show so awesome the past 14 years. I remember meeting you last year . I got my acceptance letter not too long ago, I’m excited to be there again for fall of 2012!!! I’ll tell every artist and patrons on my newsletter to go. I hope that you will have hotdogs and champagne again on Friday night.